Helitech, a division of SLAB Masters Inc., has provided a strategic mix of economic, geotechnical, and structural solutions to residential, commercial, and industrial clients since 1987. Helitech prides itself on being a privately owned, small business with a focus on family and tradition. Our employees are an integral part of who Helitech is as a business. Virtually all of those who have helped to build and grow the company throughout the years are still here today. This relationship embodies the staying power of Helitech for years to come. All construction personnel has been trained and certified by AB Chance, with continuing education and training on a monthly basis. Helitech maintains safety and affirmative action programs, all of which comply with current OSHA, federal, and state guidelines. We are dedicated to providing our clients with state of the art products and services at competitive pricing. Every day we strive to uphold a high level of integrity while meeting project requirements and exceeding customer expectations. Helitech’s main office is located in Caseyville, Illinois. There are three additional physical locations: Northern Office in Lincoln, IL; Southern Office in and Marion, IL; and Central Missouri in Columbia, MO. We have project specialists and estimators living as far north as Quad Cities, Iowa, to as far south as Paducah, Kentucky. Helitech has and remains to be an industry leader in foundation repair and waterproofing solutions to residential homeowners for almost 30 years. While we have expanded into 5 states, we are still a family-owned business that takes pride in providing long-term, quality solutions to every homeowner. Being a specialty contractor, Helitech is the industry leader in foundation repair and waterproofing solutions because that is all we do. Our expertise has been tried over the years, and while we have improved the tools we utilize to create a more efficient, seamless process for the homeowner, we still use the same patented technology that we started with in 1987. For most, a home is one of the largest investments you will make in your lifetime. Your home is a source of pride and accomplishment. We understand your investment and want to make sure you understand the repair process. Our estimators will walk you through each procedure and stay with you throughout the entire project. For more information on Helitech, please watch our Company History video or download our Company Brochure. Over the years, time will affect the structural integrity of a house. Whether time is causing cracks to form, water leaking into the basement or shifts in your foundation, we know that you want the job done right the first time. By choosing Helitech, we will ensure this is the only time you will have to fix the problem. We truly heal your home. This is why Helitech provides a warranty on most products throughout the life of a structure, a warranty that is even transferable to the new owner. Helitech is the largest piering and foundation repair company in the Midwest and installs more linear feet of waterproofing than anyone in the region. With a combined industry experience of over 100 years, you can rest assured that we will find the most effective solution. Learn more about how Helitech can heal your home by downloading our brochure. Helitech’s commitment to excellence has generated both local and national recognition as an expert in Waterproofing and Foundation Repair. In years of drought, homes can be left damaged by shrinking soils and shifting foundations. Not only does drought become a troublesome issue because of the effects on farmers, fishermen, barges and river ways, but drought also causes stress to unexpectant homeowners. The opposite effect happens with heavy amounts of rainfall The soils become saturated with water, expand, and exert pressure against foundations, and cause basements and foundations to crack and leak. We have seen the effects of both cases within our region and several news outlets have reached out to Helitech as the featured expert. Among those include USA Today, The Associated Press, CBS Evening News, and MSNBC. Helitech has won several national and local awards, including the National Home Builder’s Association Remodeler of the Month, Remodeler of Distinction Award for both Structural and Waterproofing Renovation, and the Better Business Bureau Torch Award. Aaron and Aaron just completed work at my home in Waterloo. I wanted to pass along my appreciation for the great work done by both Aaron’s. Very professional and courteous. Job well done! They explained to me what they would be doing. When they were finished they showed me all that was done. They were very careful to not make a mess. I was completely satisfied with the results. Chris H. and Dylan C. were awesome to work with. Download, print, or save one of our many product and installation brochures so you can learn more about our company, our available products and services, and the steps taken to heal your home. Our Homeowner Maintenance Checklist will serve as your plan for regular maintenance – particularly as it relates to foundation issues, concrete settlement, and structural repair. It is intended to be used all-year round and will help you ensure your home is healthy and protected through every month and season. With our installation and product videos, you will be able to better understand our processes and visualize the installation so you can have a higher level of comfort in trust with us to heal your home. 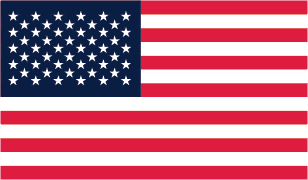 All products used by Helitech are proudly made in the U.S.A.